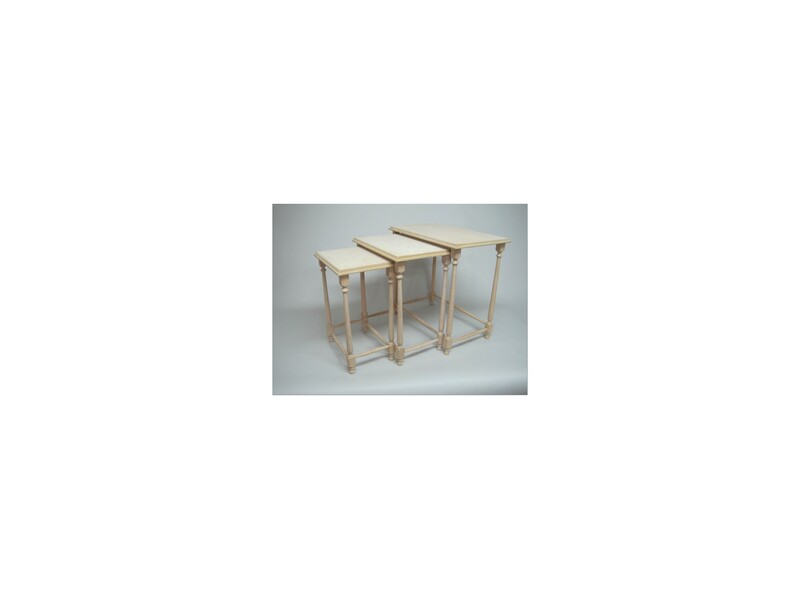 Set of 3 nesting tables. Measurements: BIG 51x31x50 cm. MEDIUM 42x28x47 cm. SMALL 32x24x44 cm. (length*width*height). 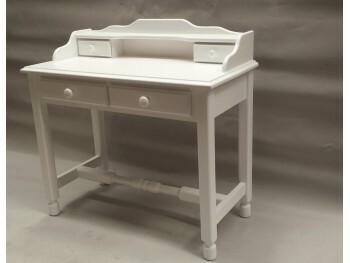 Rustic Desk made ​​of solid wood painted in White with 4 drawers. Total Size 100 x 49 x 80 cm. 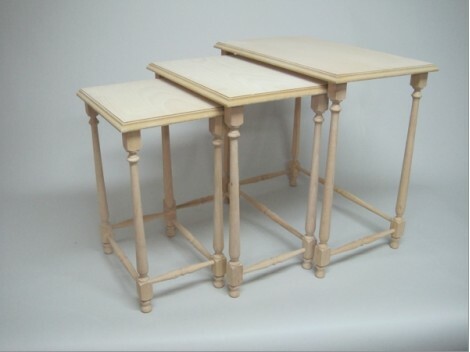 Set 2 folding tables with a support to keep them lacquered in White color. Ideal as auxiliary tables. Closed measurements in support: 36x10x74 cm. Open table 36x45x50 cm. Set 2 folding tables with a support to keep them in any corner of the house. Ideal as auxiliary tables. Available in Cherry and Mahogany Closed measures in support 36x10x74 cm. 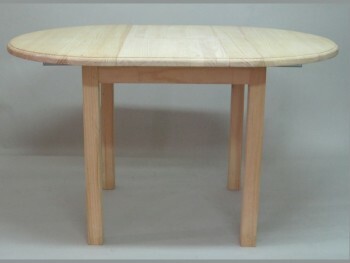 Open table 36x45x50 cm.